Economical: The price of the X 330 is a revolution by itself. 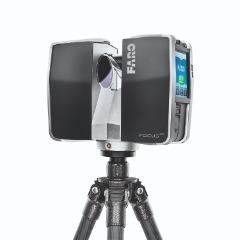 A 3D laser scanner has never been so affordable. Simple: Due to its intuitive control concept with touchscreen display, the X 330 is as easy to operate as a digital camera. 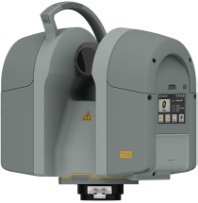 Precise and Fast: The X 330 creates a precise, virtual copy of reality in millimeter-accuracy at a blazing speed of up to 976,000 measurement points per second. 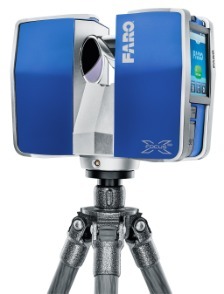 The FARO Focus3D X 130 laser scanner is a highly versatile 3D scanning solution for a broad variety of applications like complex plant environments, buildings and infrastructure, architectural and heritage sites, accident and forensic scenes, and more. The compact, lightweight design, and intuitive, easy to use onboard interface increases field efficiency, saving you time and money.